Many parents want to work closely with a dentist who specializes in the care of babies and children. Pediatric dentists are much sought after dental specialists who are highly valued by parents and the children they treat. A pediatric dentist can assist with everything from a toddler’s thumb sucking to the accidental loss of a tooth during a soccer game to a young adolescent’s dental needs in the aftermath of diagnosis of type I diabetes. Pediatric dentists are dentists who specialize in the care of babies, children and those on the cusp of adulthood. Pediatric dentists also work with parents to help them learn how best to care for their child’s dental needs. A pediatric dentist may work with babies as young as six months when the baby starts to get their first set of teeth and a parent needs help caring for the baby’s potential dental problems. They also work with older children who may need help with problems such as pulling baby teeth that are not coming out on their own and tto correct a serious dental problem such as a overbite. Pediatric dentists provide many types of varying treatment. Such dentists will offer children help with fluoride treatments in places where the water is not fluoridated and periodic cleanings. A dentist can also identify which children will need to have their teeth straightened or an overbite corrected in order to prevent future dental problems. A pediatric dentist may also fill a cavity in a child’s tooth to prevent further decay. Pediatric dentists also do tasks such as managing problems that a child may have with gum disease to catch it early and treat it before it progresses any further. Pediatric dentists are also called to treat other conditions that conditions may afflict young children such as painful mouth ulcers and short frenulae that can make it hard to talk. A pediatric dentist will also offer treatment for conditions such mucoceles, and problems with pediatric periodontal disease that need to be treated as soon as possible to help children function better. What is the Difference between a Pediatric Dentist and a Regular Dentist? A pediatric dentist gets the very same training as a regular dentists. 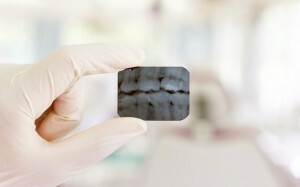 Like regular dentists, they complete four years of college and then attend four additional years of dental training at a dental school During this time, they learn a great deal about diseases of the teeth and the jaw. Pediatric dentists also undergo an additional two years of training after graduating from dental school. During this time, they are taught to work with children and infants. They learn how to work with the specific needs of babies and children and their parents. A pediatric dental specialist is also taught to work with children with special needs such as certain medical conditions that may compromise the function of their teeth and jaw as they grow up.